Andy Avalos has the latest as another round of winter weather continues. Several Illinois and northwest Indiana schools closed or delayed start times on Wednesday as a mix of freezing rain and snow fell across the Chicago area. By Wednesday morning, dozens of schools reported late openings or full closures due to weather. A Winter Weather Advisory remained in effect through 12 p.m. for DuPage, Cook, La Salle, Kendall, De Kalb, Kane and Lake counties in Illinois, with a Winter Storm Warning in McHenry County through noon as well. What Does Lake-Effect Snow Actually Mean? 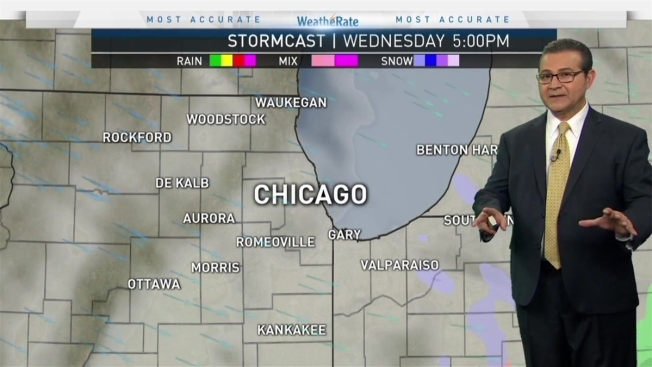 We hear "lake-effect snow" a lot in Chicago. But what does it actually mean? Kalee Dionne breaks it down for us. Ice accumulations of up to a tenth of an inch, plus several inches of snow, were possible before the system was expected to end in the late morning or early afternoon. The freezing rain and snow made the morning commute slick and treacherous, with drivers warned to use extra caution.